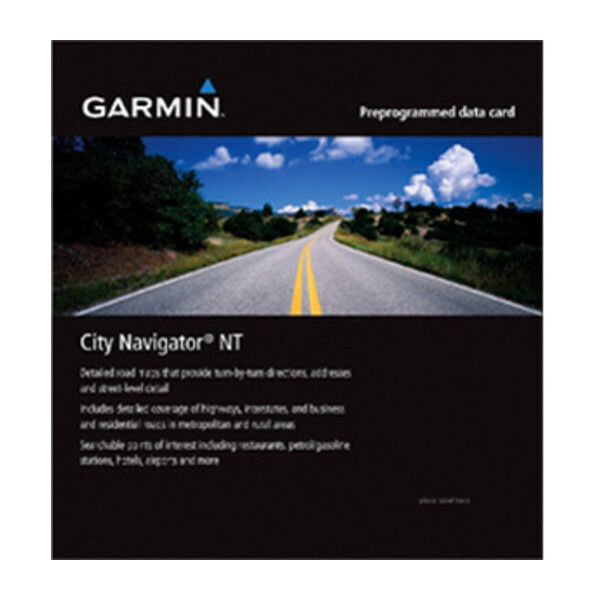 Displays millions of points of interest and road coverage for the lower U.S. states*, City Navigator North America NT - Lower 49 States delivers all the data you need to navigate the United States. City Navigator brings you the most detailed street maps available so you can navigate with exact, turn-by-turn directions to any address or intersection. You also can route to restaurants, fuel stations, hotels, attractions and more. Powered by NAVTEQ, a world leader in premium-quality digital map data. 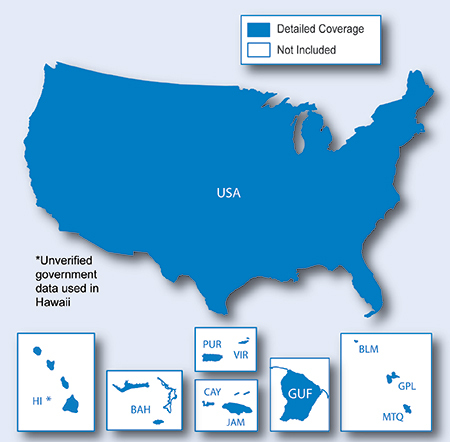 *In addition to the lower 49 states, including Hawaii, City Navigator North America NT - Lower 49 States also includes coverage of Puerto Rico, U.S. Virgin Islands, Cayman Islands, The Bahamas, French Guiana, Guadeloupe, Martinique, Saint Barthélemy and Jamaica. Alaska, Canada and Mexico coverage is not included. Available as a download. Which format is best for me? The file size of this download and space required on device or microSD™/SD™ card is 1.75 GB. If this download does not fit on your device, data may be saved on a microSD/SD card (Recycled microSD cards may be used to program map data). Alaska, Canada and Mexico are not included.